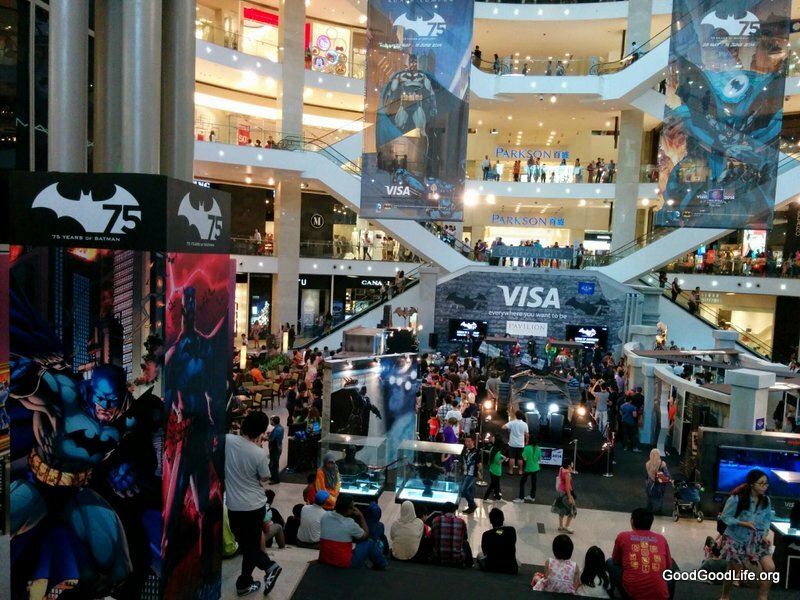 The 75 Years of Batman Cosplay Competition was held on the 7th of june 2014. GGL was there to witness the Competition. As well as patronise the 75 years of Batman Exibition Extravaganza. First of. Here are some shots of the cosplay competition. 2 hot catwomen!. The winners were A Batman. Poison Ivy and Cat woman. Next we check out the exibitions. There were full size Batman and Jokers Statures in a glass cabinets. As well as a Batman and Joker posing with patrons for photographs. There was a full size tumbler vehicle. Batman’s vehicle from the recent Batman movies. Lining the stairs that let to the entrance were wall murals of Batman’s 75 years in public media. There were many exhibitions. Like a full sized Ane Hathaway’s version Catwoman. And many props. In another section of there were glass booths full of miniature Batman statues and items. Bellow are shots of miniature versions of Batman. From Comic versions to TV Cartoon versions. Next a glass booth full of miniature meowwww Catwomen. From the early days to the modern days. More Characters from Christopher Nolan’s version of Batman. This entry was posted in Party and tagged batman, catwoman, comic, cosplay, joker, pavillion by TheGoodGoodGuy. Bookmark the permalink.